“Sometimes we pay so much attention to our enemies, we forget to watch our friends as well. ” – M.
Brief Synopsis – James Bond, a newly approved member of MI-6 is sent to stop an arms dealer by beating him in a high stakes game of poker. Unfortunately, everything is not as it seems. My Take on it – This was the first Bond film in over two decades that I didn’t have the opportunity to see in the theater. This is quite ironic because it has become one of my favorites. The choice of Daniel Craig as the new Bond actor was a great one because he shows us that Bond isn’t a super man, but can also be vulnerable in everything he does which helps us see him as more of a real character instead of a fictional one. This movie is essentially a reboot of the whole franchise and at the same time is also an “origin” story since we are introduced to Bond right after he achieves his 00 status. The writers cleverly added so much of the qualities that are known as being part of James Bond to this movie t help create the icon known as 007 including his ruthless tactics with both women and villains. This movies works well as both a taut thriller and an action movie which is a very fresh take on the character and his adventures. Eva Green is great as Bond’s partner Vesper Lynd. 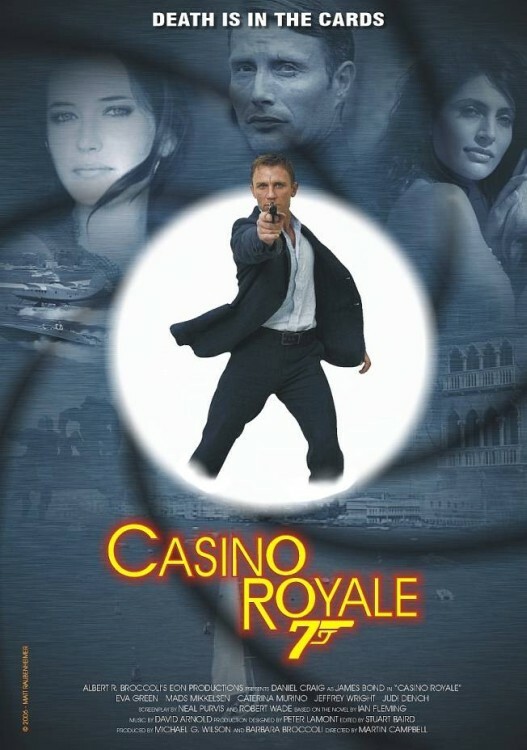 I also quite glad that they were able to redeem the name and story of Casino Royale after the two previous attempts of adapting the story didn’t work at all. Bottom Line – Great way to reboot the whole franchise. Craig is truly one of the best Bond actors. This story makes the character feel more real because of his vulnerabilities. Loved how they find ways to introduce many of Bond’s traits in the “origin” story. Works as a thriller and brings James Bond to the status of action hero. Highly Recommended! Nice review, really great Bond movie. Eva Green was great as Vesper. One of my fave Bond films as well, Eva Green rates as on of the best Bond Girls IMO – more than just eye candy she was a character with dimension played by a good actress. Diana Rigg is still numero uno in my books though!